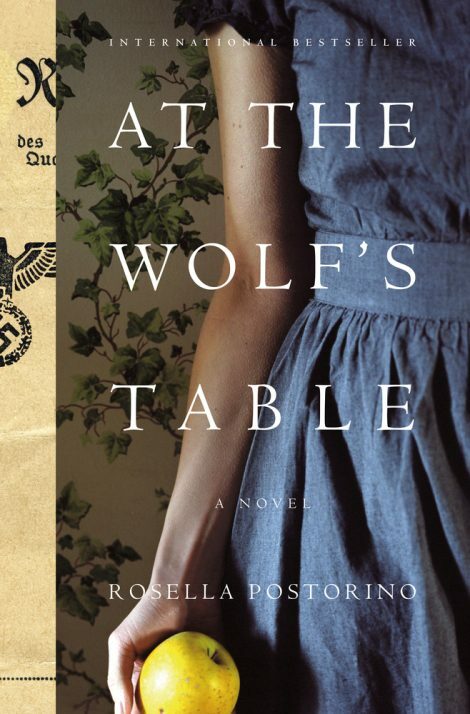 The internationally bestselling novel based on the untold true story of the women conscripted to be Hitler’s food tasters, from author Rosella Postorino. Germany, 1943: Twenty-six-year-old Rosa Sauer’s parents are gone, and her husband Gregor is far away, fighting on the front lines of WWII. Germany, 1943: Twenty-six-year-old Rosa Sauer’s parents are gone, and her husband Gregor is far away, fighting on the front lines of WWII. Impoverished and alone, she makes the fateful decision to leave war-torn Berlin to live with her in-laws in the countryside, thinking she’ll find refuge there. But one morning, the SS come to tell her she has been conscripted to be one of Hitler’s tasters: twice a day, she and nine other women go to his secret headquarters, the Wolf’s Lair, to eat his meals before he does. Forced to eat what might kill them, the tasters begin to divide into The Fanatics, those loyal to Hitler, and the women like Rosa who insist they aren’t Nazis, even as they risk their lives every day for Hitler’s. As secrets and resentments grow, this unlikely sisterhood reaches its own dramatic climax. What’s more, one of Rosa’s SS guards has become dangerously familiar, and the war is worsening outside. As the months pass, it becomes increasingly clear that Rosa and everyone she knows are on the wrong side of history. R osella Postorino is an internationally bestselling author and an editor. She speaks fluent English, Italian, French, and German. At the Wolf’s Table is her first novel to be translated into English. 1. Though she risks her life every day for Hitler, Rosa claims not to be a Nazi. Do you agree? How is her involvement in the war similar to or different from her husband Gregor’s, who enlisted to fight? 2. 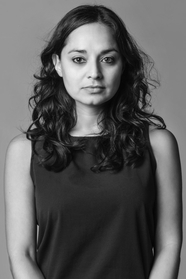 Rosa imagines her father telling her: “You’re responsible for any regime you tolerate. . . . Each person’s existence is granted by the system of the state in which she lives, even that of a hermit, can’t you understand that? You’re not free from political guilt, Rosa.” Do you agree? How does this novel address the idea of collective guilt in Germany? Are any of the characters innocent? 3. Rosa never meets Hitler, but his presence hangs over the entire novel. What role does he play in the story? Discuss the different ways in which the characters view him. 4. Rosa compares herself to Little Red Riding Hood, and Hitler to the wolf: “I had ended up in his belly. A legion of hunters was out looking for him, and to get him in their grips they would gladly slay me as well.” Do you think the comparison holds up? Are there other fairy-tale elements to Rosa’s story? 5. Rosa describes her love with Gregor as either “a mouth that doesn’t bite, or the opportunity to unexpectedly attack the other, like a dog that turns against its master.” What does she mean? How do we see that duality—safety and danger—in her relationships throughout the novel? 6. Rosa keeps secrets from her loved ones from a very early age. She says of her childhood relationship with her mother: “My pain at the wrong I had done to her was so great that the only way to bear it was to love my mother less, to say nothing, to keep it a secret. The only way to survive my love for my mother was to betray that love.” Discuss that apparent paradox. How else do secrets shape Rosa’s life and relationships? 7. Rosa tells us: “The ability to adapt is human beings’ greatest resource, but the more I adapted, the less human I felt.” What do you think she means? How does this novel address sacrifice and survival? 8. Rosa never asks Albert directly about his experiences at the concentration camps: “I was afraid and couldn’t speak and didn’t want to know.” What do you make of their relationship? What draws them together and keeps them apart? Do you consider Albert a villain in this story? Does Rosa’s romantic involvement with him make her guilty or culpable in some way? 9. Rosa argues, “There’s no such thing as universal compassion—only being moved to compassion before the fate of a single human being.” Do you think there’s any truth to that? How does the novel either bear out or contradict that statement? 10. Much of this novel is about female friendship. What is the nature of Rosa’s relationships with the other tasters? How does her outsider status, as a Berliner rather than a villager, play a role? How does this novel address issues of class and status, particularly through Rosa’s friendship with the Baroness? 11. Among the tasters, Rosa is closest to Elfriede, another outsider with secrets. How are the two women similar and different, and why do they develop such an intense friendship? 12. Why do you think Elfriede risks everything to help Heike get an abortion and, later, tell the SS guards that Leni was raped? When Elfriede is found out and deported, Rosa tells Albert, “It’s our fault.” Do you agree? Why or why not? 13. Rosa and Gregor’s marriage doesn’t last after the war, in part because they were too careful with one another: “If only we had shared our memories, I told myself at times. We couldn’t. To us it would have seemed like squandering our miracle. Instead we tried to protect it, to protect one another. For the rest of those years we were trying so hard to protect one another that we ended up with nothing but that: barricades.” Rosa never tells Gregor about her experiences as a taster and never tries to track down anyone from her past. Why does she make those decisions? 14. Discuss Rosa’s views on loss: “When you lose someone, the pain you feel is for yourself, the pain that you’ll never see them again, never hear their voice again, that without them, you think, you’ll never make it. Pain is selfish.” Would you describe Rosa’s choices in this novel as selfish? Is survival inherently selfish? 15. At the Wolf’s Table is based on the true story of the women who served as Hitler’s food tasters. Were you aware of that piece of history? Did you come away from this novel with a different understanding of World War II and the Holocaust? Do you sympathize with Rosa and the other tasters?